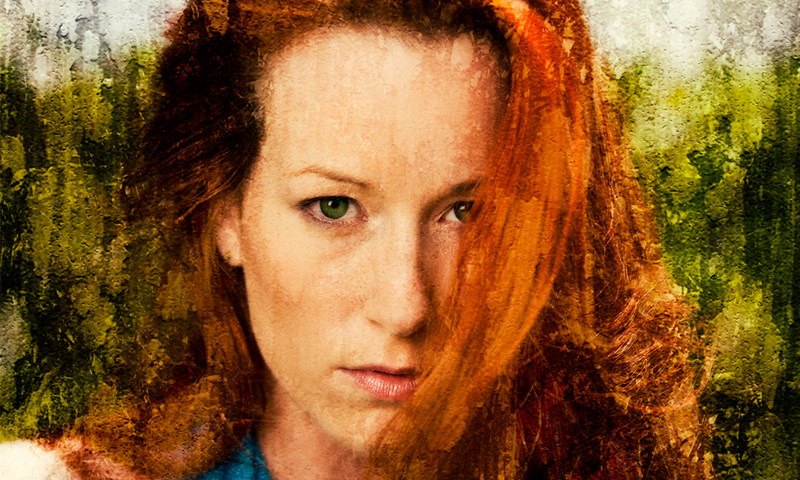 Photoshop enables you to add a painting look to your images easy by using textures. The secret is to find the right texture for the image. You can build your own collection by taking photos of textures when your out shooting. If you see something you like, take a photo of it. When you import the image to your computer, give it a descriptive name and add the word “texture” to the file name. You can also find textures on the internet. Some are free and others you have to pay for. Either way, it’s worth your time to start building a collection. I’ve included an exercise file containing images used in this tutorial . Images are for educational use only. Create a new document by clicking on File then select New. Apply the settings in the image below. Click File then select Place Embedded. Find your image then select Place. Your image comes in as a Smart Object. Position it to fill the canvas. Open a texture image and place the image as a smart object using the same method used in step two (Click File then select Place Embedded). Double click on the image to apply the smart object. Change layer blend mode to Soft Light. Select the Layer mask icon on the bottom of the Layers panel to add a Layer Mask. A new thumbnail appears next to the texture layer. This layer should be filled with white. If not, press the [Mac] Option key + Backspace or [PC] Alt + Backspace key to change the fill mode to white. From the brush panel, select an oil brush, Change the brush size to 400px. Set the Opacity to 25% and the color to black. Start with the face and paint out the texture effect. A low 25% Opacity gives you control over the amount of texture you are painting out. Painting over parts of the face several times removes more of the texture. Don’t worry about the eyes, we are going to change the brush and paint the texture out at 100%. Continue painting out the texture on the background, one or two strokes should do. For the eyes, change to a soft round brush set at 100% opacity. Increase “[” or decrease “]” the size of the brush using the bracket keys to match the size of the eyes. Paint out the texture. If you want a more dramatic effect, duplicate the texture layer and continue with painting out the effect. This will increase the Texture in areas you want. You can continue to express yourself by adding different effects. I work with Google’s Color Efex Pro and onOne’s Perfect Effects to add a unique look to images. The key is to know when to stop. Experiment and have fun.